Need to use a utility trailer to transport goods, equipment, or other cargo? For those wanting to have the safest experience possible, it’s important to select the right brake controller for your needs. The purpose of this technology is to give drivers control over the trailer’s speed, so its momentum doesn’t ram the towing vehicle. There are two-basic types: proportional and time-delayed. Here are the differences between them to help you choose which is right for you. On a basic level, the difference between time-delayed and proportional options comes down to how they apply the braking power. 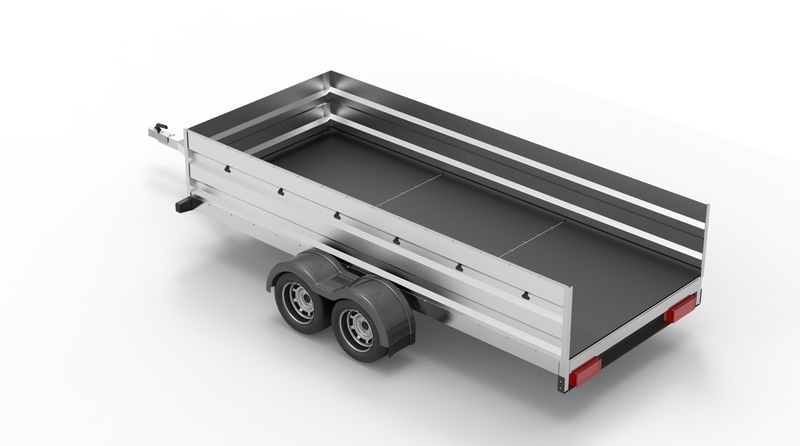 Proportional models involve more communication between the car and the trailer; however much pressure the driver puts on the vehicle brakes, the same amount of pressure will transfer to the trailer brakes. Time-delayed models, on the other hand, use the same amount of braking power no matter the conditions. This makes them less smooth and less ideal for winding roads with frequent changes in elevation. Your specific needs will help determine which of these options is right for you. Do you use equipment trailers frequently, perhaps on a variety of different vehicles? If so, a proportional model will better suit your needs. If, on the other hand, you have infrequent towing needs and you want something less expensive, a time-delayed option may be perfectly sufficient. Also keep in mind the terrain on which you intend to tow, the heaviness of the load, and more. As a general rule, more intense needs require proportional brake-control, while casual ones can be satisfied by time-delay. Need to rent a utility trailer in the Cincinnati, OH area? The team at Smith Trailers and Equipment can help. With over 26 years in the business and a large inventory of over 200 trailers for customers to choose from, they can assist with all your hauling needs. Learn more about this family-owned company today by visiting them online or calling (513) 755-2497. Other Announcements, Events and Deals from Smith Trailers and Equipment, Inc.
A. Smith Trailers and Equipment, Inc.